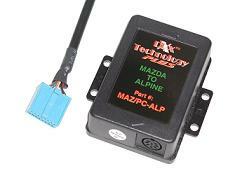 This MAZ/PC-ALP adapter by Precision Interface Electronics is designed to convert the CD-changer port on the rear of select Mazda Oem radios (with CD-changer controls) into an Alpine M-Bus CD-changer female connector. This allows you to connect any of the following M-Bus style Alpine CD-changers. 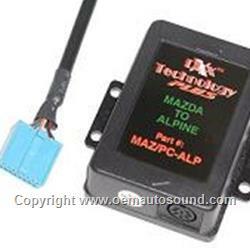 Connects to Factory 16-Pin at Headunit. *Requires radio firmware ver.9.55 or greater press and hold "Text" button, while holding "Text" press and hold "Preset#1" For a few second until version # appears on display.